From gingerbread houses and traditional ginger beer to stem ginger in Christmas pudding, this fiery, fragrant spice has long been a part of the Christmas festivities. 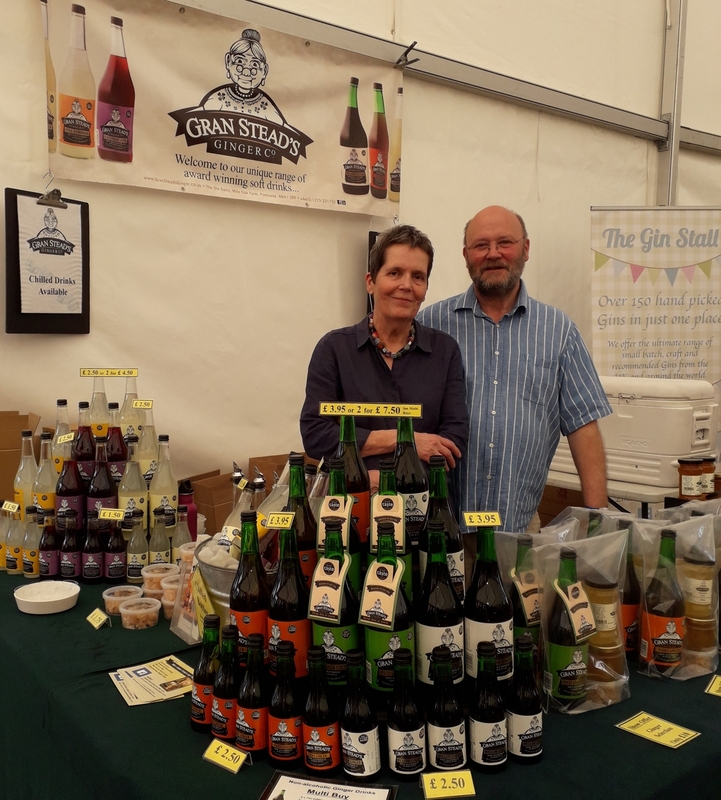 So, it seems particularly fitting that this month we meet Chris and Rosemary Knox of Gran Stead's Ginger Co. in East Sussex. Based from their artisan workshop in Portslade, the couple produce an award-winning range of non-alcoholic ginger drinks – any one of which would also make an ideal aperitif for the festive season. Ranging from their original Mellow Ginger Wine to the knock-your-socks off Fiery Ginger and their latest addition, Spiced Ginger Punch, they are just the thing for this time of year. “There’s nothing like the spicy zing of a ginger drink to warm up a winter’s evening,” says Chris, a long-time member of Local Food Britain. “It really is the perfect way to get you into the Christmas spirit. What is more, given that all our drinks are non-alcoholic, they are ideal for any designated drivers – or, alternatively, they make an excellent whisky mixer. With a nostalgic nod to yesteryear, these delicious drinks date back more than 150 years. Inspired by an original concoction created by ‘Granny Stead’ herself back in the 19th century, the range began with her ‘Mellow Ginger’ – which is still a firm favourite now. Today, they produce six different drinks, including two traditional lemonades, all of which are entirely free from artificial sweeteners and preservatives. And with a devoted following that stretches well beyond Sussex, it’s no surprise that they have picked up a host of accolades along the way – including a total of five Great Taste Awards. In addition, they have also added a spicy selection of ginger jams and marmalades to their range. Made for them by Auntie Val’s in Storrington, they include the breakfast favourite, Root Ginger & Seville Orange Marmalade, as well as jams such as Rhubarb and Ginger and Seriously Ginger. For those whose taste buds have been well and truly piqued, Gran Stead's Ginger Co. can be found at a whole range of food festivals and shows across Sussex. In keeping with their traditional values, they also have their own delivery van, personally taking their products to small independent suppliers, from farm shops to village delicatessens. Then there’s their website too - www.gransteadsginger.co.uk – where all of their products can also be ordered just in time for Christmas.